Today, it’s Florist Friday and I’m thrilled to feature an interview with florist Kally Ellis of McQueens. You may remember that I attended a day at her Flower School earlier this year. My life was at something of a crossroads because I’d just lost my best friend in the Lockerbie air disaster and had also broken up with my boyfriend. I was living at home at the time and it sounds ridiculous, but one night I had the most vivid dream that I was going to become a florist with my own business. I remember telling my parents that morning about the dream and saying that this is what I was going to do. They were incredulous, but within months of having that dream, I was running my own flower shop. When did you start McQueens and where are you based? I started McQueens 22 years ago at the height of the last recession…people thought I was bonkers! 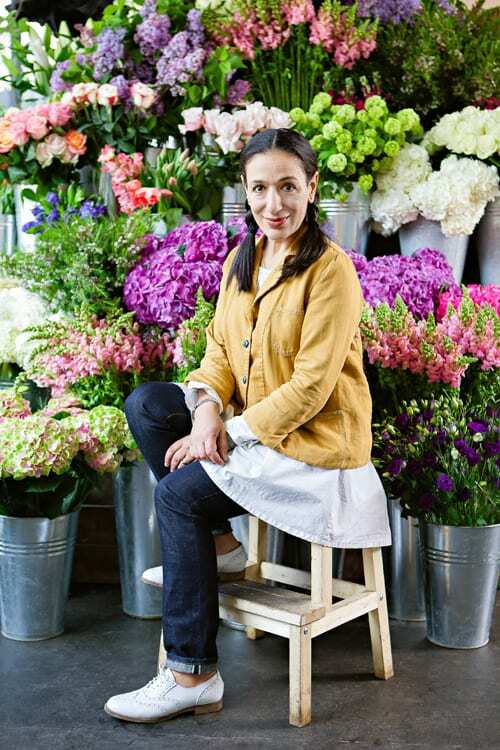 I took over a failing florists that already had the name McQueens and was based in Shoreditch in London. This was long before it was cool and trendy. In fact, it was a bit of a waste land…there was nothing there. On my first day of trading, a red route went down outside the shop. It was London’s first red route. In a way, that shaped the business because we were no longer a high street florist…our focus was events and contracts. And that is the heart of our business now. I can’t believe where we are today. 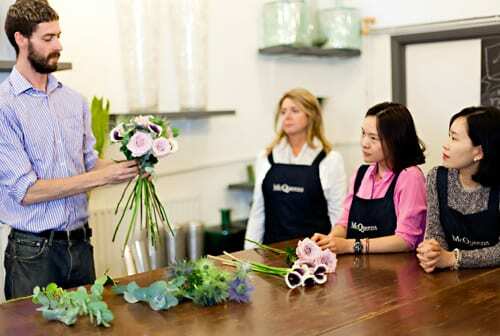 We are two premises on from that shop in Shoreditch and our current location houses the McQueens Flower School. McQueens at Claridge’s opened in 2012, our second retail outlet. I would never have dreamed all of this. 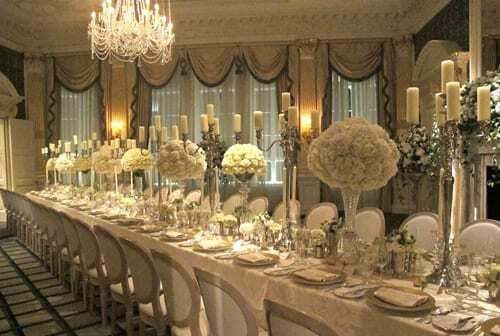 The core of our business is contracts, events and weddings. Our biggest contracts are for hotels and restaurants. 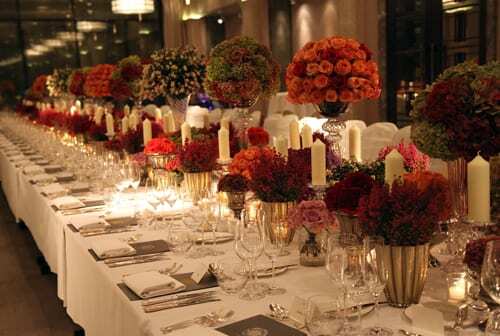 We are the in-house florists for The Berkeley, The Connaught, Claridge’s and The Grove Hotel. 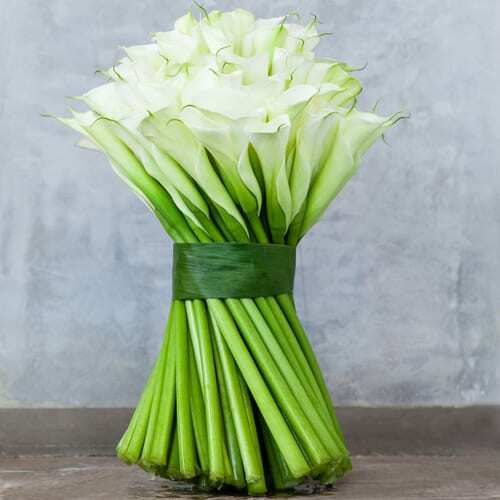 We do styling, consultation and deliver a great deal of bouquets, via telephone and internet orders. We have up to four vans doing deliveries throughout the day. From anything and everything…art exhibitions, fashion, travel, interiors and of course, my amazing team. They are extremely talented and creative. I always say that you can teach anyone to be a florist, but you can’t teach people how to be creative…that comes from the heart. When working with clients, we have to work within their brief, although we have earned a huge amount of trust because of our reputation for creativity and contemporary design. This year, I’ve been in L.A. doing the Vanity Fair post-Oscars. 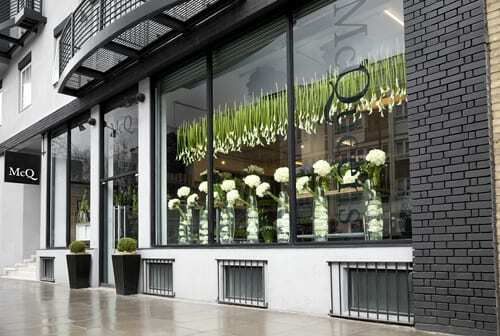 And also in New York designing the floral displays for Robert de Niro’s TriBeca Film Festival. Straight after that, I was in Washington doing the flowers practically in the White House for the Washington Correspondent’s dinner. A few weeks ago we were installing a display for the Wimbledon Championship dinner…that was really special. We do it every year, but this time we felt especially chuffed because it was finally Andy’s year! We’re currently working on the fashion show for a luxury British brand’s London Fashion Week show…it’s going to be pretty amazing. McQueens is known for its contemporary, elegant yet understated designs. 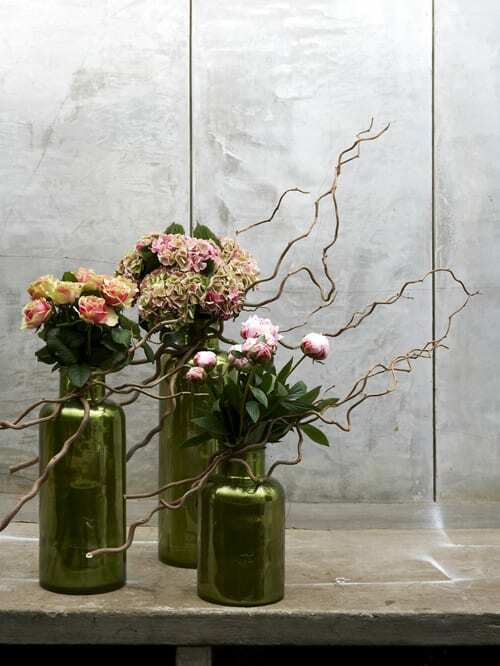 We use vases in different shapes and sizes with repetition to create bold landscapes…using one type of flower and colour blocks for maximum impact. Could you tell us about the types of courses you run at your flower school? The McQueens Flower School offers students at all levels from beginners to experienced florists, an opportunity to develop their skills and talents with flowers in new and exciting ways…capturing the creativity that is the hallmark of McQueens. The school is led by Duncan McCabe, senior course tutor…a highly experienced and very talented florist. 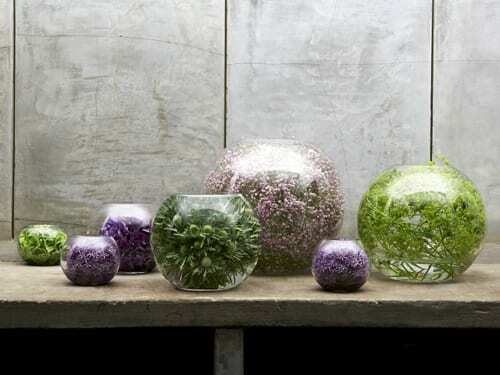 We run a range of courses including one day courses on hand-tied bouquets, table centres and vase and group installations. We have two day intensive courses for those who would like a comprehensive guide to wedding floristry. And our four week vocational course is an in-depth introduction to flowers and floristry, and brings in students from afar, including Korea, Japan and the States. We’re launching a new website in September, so a lot of our energy and attention in recent months has been taken up with that. I’m really looking forward to it going live. It will act as a showcase for the McQueens brand. I love all flowers. I love what the seasons bring and if I had to say, my least favourite are exotic flowers. If I had to choose, it would be Lily of the Valley. It’s timeless and elegant followed closely by the peony, so vintage and so romantic…a vision of summer. Thank you so much to Kally for all her help in compiling today’s blog post. If you’d like to keep up-to-date with news from McQueens, they’re on Twitter and Facebook. Fabulous post. What an incredible designer and inspiration! Thanks for this inspirational post. 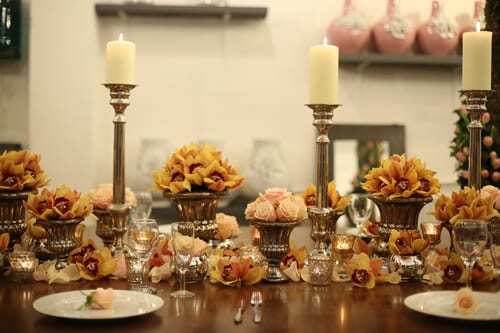 It’s given me some great ideas – I’ll be doing my own version of the lovely head table arrangement you’ve featured in the images (the one with pillar candelabras and cymbidium orchids) for my own wedding in November. Thank you very much for your comment Becky :-).